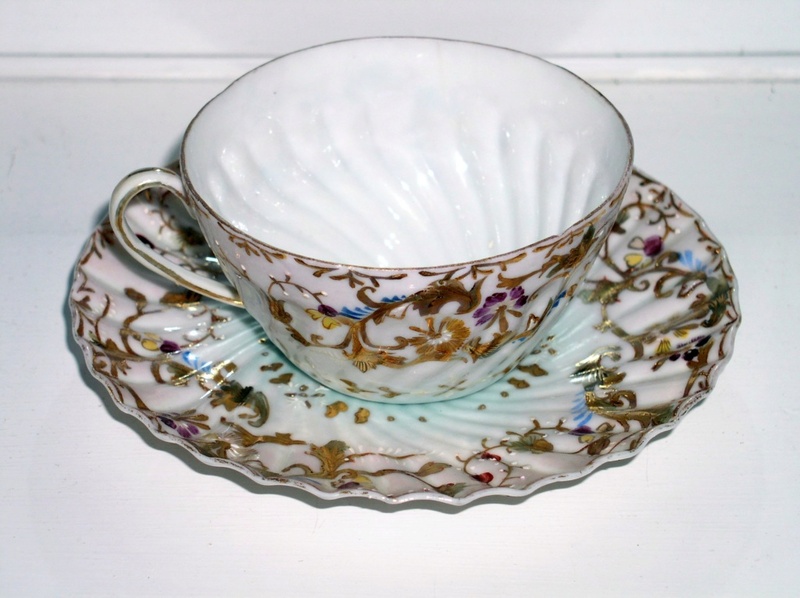 Old Victorian cup & Saucer maybe too old for here sorry!!!! vase in i wanted which turned out to be broken and stuck together but there were a few interesting pottery pieces in it and i thought i would try and research although i am a novice on pottery so any information i can get would be a great help. 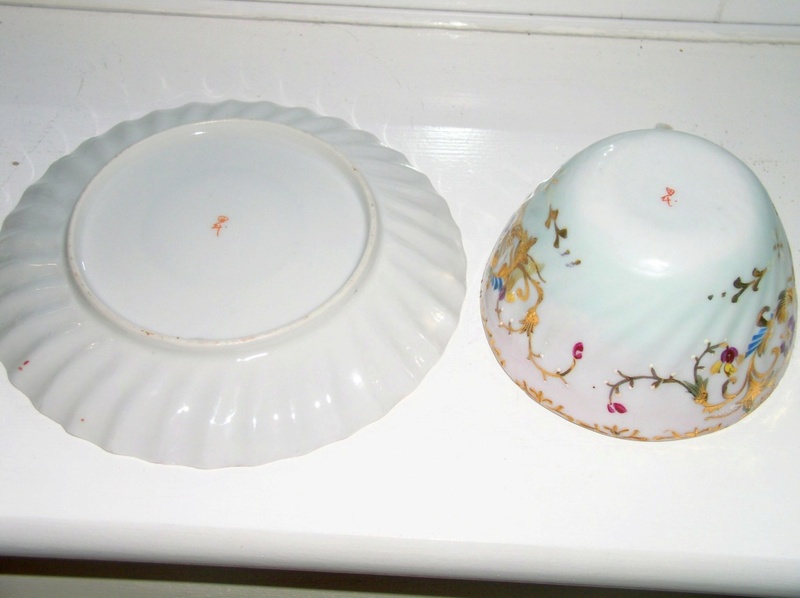 I think these are Victorian nicely enameled maybe continental but has a strange mark on the base almost like Asian writing finding nothing similar at the moment. Thank you for having a look. 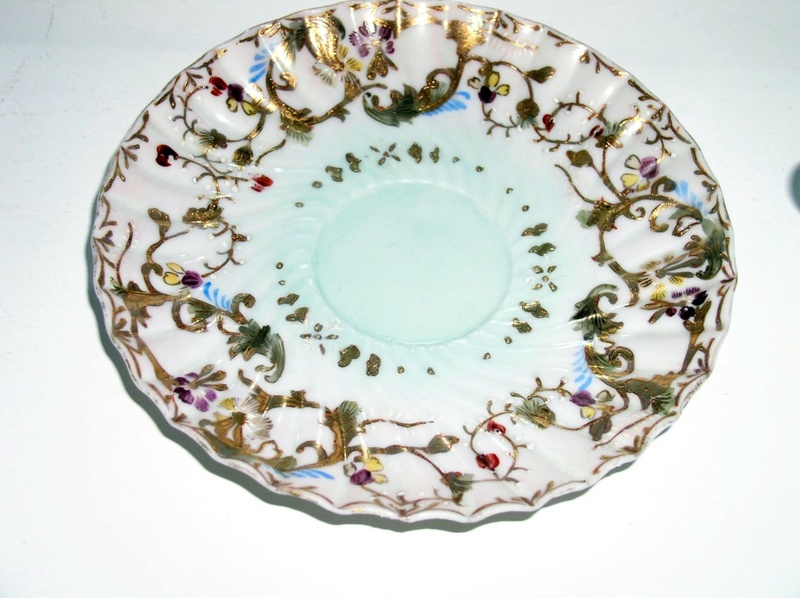 Re: Old Victorian cup & Saucer maybe too old for here sorry!!!! 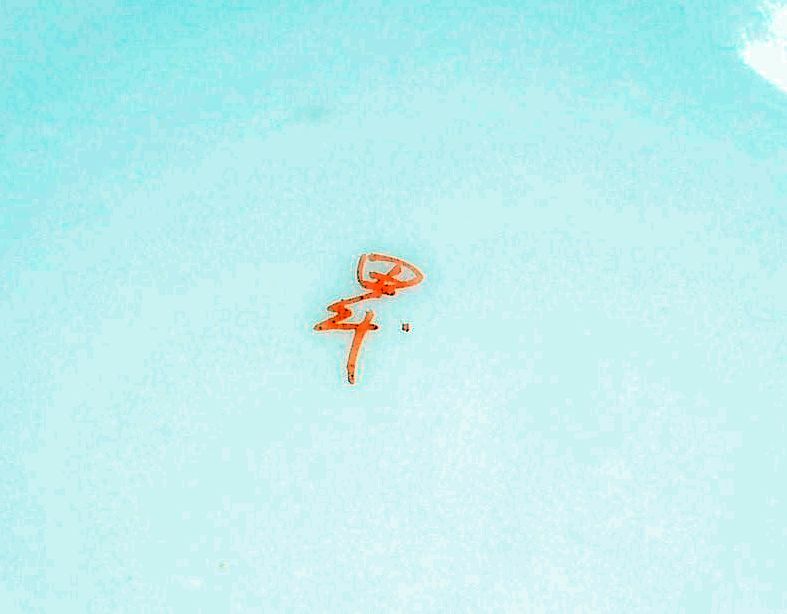 This is Japanese and says Tashiro. You can read about it at gotheborg.com if you click on Japanese marks on the left and scroll down. They went out of business in 1937.